ScienceDaily (Dec. 9, 2007) — A team of scientists led by Dr. Radha Maheshwari, professor of Pathology at the Uniformed Services University of the Health Sciences (USU) and Rajesh Loganathan Thangapazham, a graduate student, have shown that green tea has antitumor effect in breast cancer cells. Cancer is a disease caused by the increased proliferation of cells which group and form a lump called tumor. Tumors can be benign or malignant. Cells from malignant tumors break away from the original tumor and spread to other parts of the body growing and forming new tumors. They can invade, penetrate into blood and lymphatic vessels, circulate via the bloodstream and can grow in a normal organ or tissue anywhere in the body. Unfortunately treatment options for metastasis are very limited and usually represent the end stage of the disease. Unlike malignant tumors, benign tumors do not invade and, with very rare exceptions, are not life threatening. Chemoprevention broadly implies the use of a chemical substance of either natural or synthetic origin, to prevent, hamper, arrest or reverse a disease. Phytochemicals are plant based non nutritive components with substantial medicinal properties. Dr. Maheshwari’s study observed that green tea can inhibit the invading capacity of these breast cancer cells and have also identified the mechanisms involved in death inducing and invasion inhibiting effects of green tea. Epidemiological studies also suggest that the risk of breast cancer is found to be less in Asian countries consuming green tea. These studies have greater clinical significance since the ability of these phytochemicals to activate anti-cancer program of tumor cells might determine the success of chemotherapy. The recently concluded study will be published in the Journal of Cancer Biology and Therapy, December 2007, Volume 6, Issue 12. A study by Dr. Maheshwari that was published earlier this year in Cancer Letters showed that green tea is effective in delaying tumor incidence as well as in reducing the tumor burden. 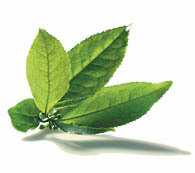 Green tea was found to inhibit growth of tumors as well as induce death of breast cancer cells. Adapted from materials provided by Uniformed Services University of the Health Sciences.